It doesn’t have to be a special occasion to visit the Palm; although, it might feel like one when you are all done! The legendary steakhouse, known not only for steak, but lobster and Italian specialties as well, is THE place to go when you want a traditional meal, attentive staff and a high quality experience. It doesn’t have to be a special occasion to visit the Palm; although, it might feel like one when you are all done! The legendary steakhouse, known not only for steak, but lobster and Italian specialties as well, is THE place to go when you want a traditional meal, attentive staff and a high quality experience. Eat here once, and it will be one of your favorites forever! If you want to people-watch ask for a patio table, or sit inside and enjoy the vibrant bar scene. As you would expect, there is an extensive wine list to complement your meal. Huge sides are family-style and are meant to be shared. 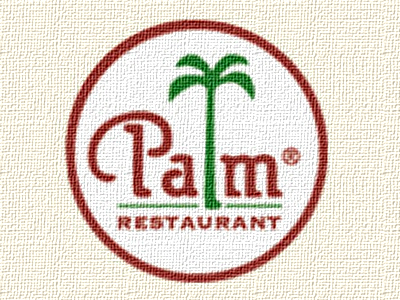 If you are a Palm fan, join their 837 Club for specials and deals! Ordered the business lunch special and thought for that reasonable price, the portions would be small. But the portions were large and it included a selection from each category of salad/soup, steak or salmon, side dish, and even dessert! The service was like what you would expect in a five-star restaurant. Everyone was friendly, highly professional, and efficient. Would highly recommend that everyone go to Palm Restaurant.